Map Update: Syrian Army Strikes Militant Positions In Response To Fresh Violations Of De-Escalation Zone Agreement 5 out of 5 based on 8 ratings. 8 user reviews. On January 29, the Syrian Arab Army (SAA) conducted a new round of artillery strikes on militant positions in the Idlib de-escalation zone, targeting the areas of Tamanah, Tal Teri, Tal Suayk, Suayk, Morek and Tal Huwayr. 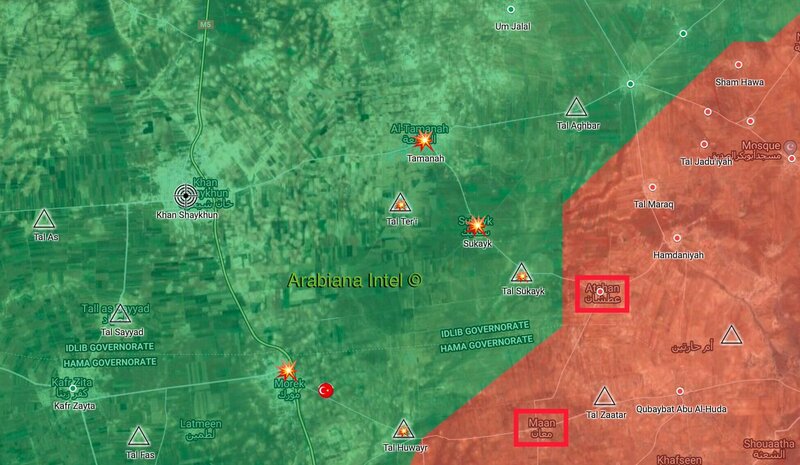 According to pro-government sources, these strikes were carried out in response to fresh violations of the ceasefire regime by militants that attacked SAA positions in Maan and Atshan. Attack all gathering and arms depots of HTS to avoid future terrorism by Erdogan. Artillery doesn’t liberate the land, there’s no reason to play the diplomacy game with the terrorists and their backers. Combined arms offensive or go home! idlib Zone is protected by russia. at Syria’s invitation, but yeah, they have their plans, but everything else needs to be gone for now. Idlib next to last, and al Tanf last. The SAA are pacifying the antagonists with artillery. This is efficient and inexpensive. little by little what is called terrorist tomorrow will be called turkeys territories and what they doing now is silently accepting borders within syria. It surely does like that, but I’ll still keep the faith for now. It is one thing to keep the faith so am I and against all odds as they shown to be, still in the back of my mind I believe the russians have a plan that will prove me wrong. Time will tell. There no such thing as de-escalation zone.Which terrorists have ever respect such thing.It is indeed sovereign Syria military no go Zones.If who ever wanted Syrian military upper hand then there could have been joint patrols like in Manbij and suppressing of terrorists forces.Not suppressing of regime forces by Erdogan who hide behind Putin hidden agreements. from Starters that was russias plan…it all started off, with the Agreements between russia and various terrorists after the last got boxed in…ie.aleppo,douma,etc… each time those terrorists were allowed to leave with small arms to idlib.In the example of Aleppo it nearly backfired, because SAA troops together with Hezbollah went beserk and disobeyed orders and attacked the busses full of terrorists leaving aleppo(this was all over News including southfront with loads of Videos). 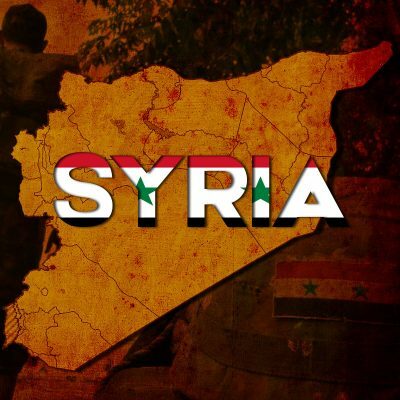 again…SAA commanding army officers have been asking for months now to get the green light for the attack on idlib.Every time russia has denied this request.All this has been reported dozens of times , also here at southfront.Thats why in the last 4 weeks, we all see this SAA and allied troop movement to idlib borders and then again troops moving away.This has happened a dozens times already.Each time, also here at southfront we read the message/News from SAA..” soon operations will start to free idlib” with huge troops movements to idlib……3 days later “russia is happy with the implementation of idlib Agreement , although more can be done” and all troop get moved away again. To me this seems to be a “make them tired” campaign…..moving huge troopsnumbers from one place to another , over and over again, without ONCE engaging the enemy, not in idlib, not in manjib, not in raqqa, not in east syria. They wont Hand u syria back on a silver plate!!! Forget all those stupid agreements/de-escalate zones, etc.. Time for Assad to take back the country. Full scale attacks now. Don’t allow the Turks to take any territory either, use the Kurds as well when they’ve fully given in. Save al Tanf for last. Stop saying violation of de-escalation zone…..since there is not such a de-escalation zone. This zone only exists in the mind of Russia which stopped SAA offensive in Idlib to please Turkey.